In the spirit of some twisted Wes Andersen-inspired cycling movie comes Nebraska Supersonic. Since Cal, Stan and Dave can’t hold onto jobs, they start their own business: package delivery…on bicycles. While a business built on pedal-power makes perfect sense in a compact New York or Boston, bike couriers don’t exist, and wisely so, on the vast Great Plains. No matter. Cal, Stan and Dave see a niche market. 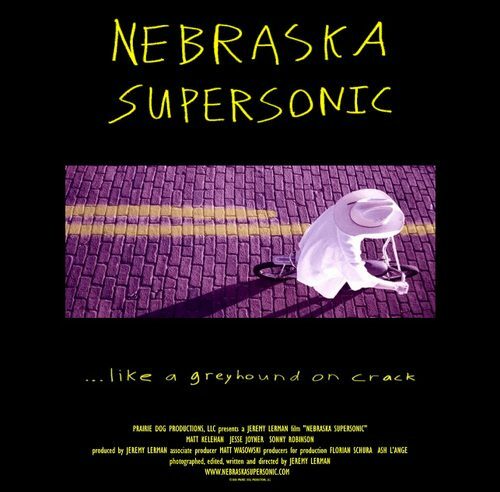 Their company, “Nebraska Supersonic,” gets regular routes between Omaha and Lincoln, Nebraska, a 120-mile jaunt that, despite the distance, they find “rather refreshing.” As unlikely as the venture seems in farmland and suburbia, they win over a loyal (and oddball) customer base with their punctuality, courtesy and good hygiene. As Nebraska Supersonic grows, troubles arise. Cal is offered a tempting job by the competition, corporate giant Fancy Express. After being robbed of an ice cream delivery, Stan decides to become a cop, a fitting job as he “already has most of the required prejudices.” Dave secretly longs to be a baker and share his unusual culinary creations (teriyaki cupcakes etc.) with the world. Their company and, more importantly, their friendship are at risk. Watch the trailer here, it looks pretty good!